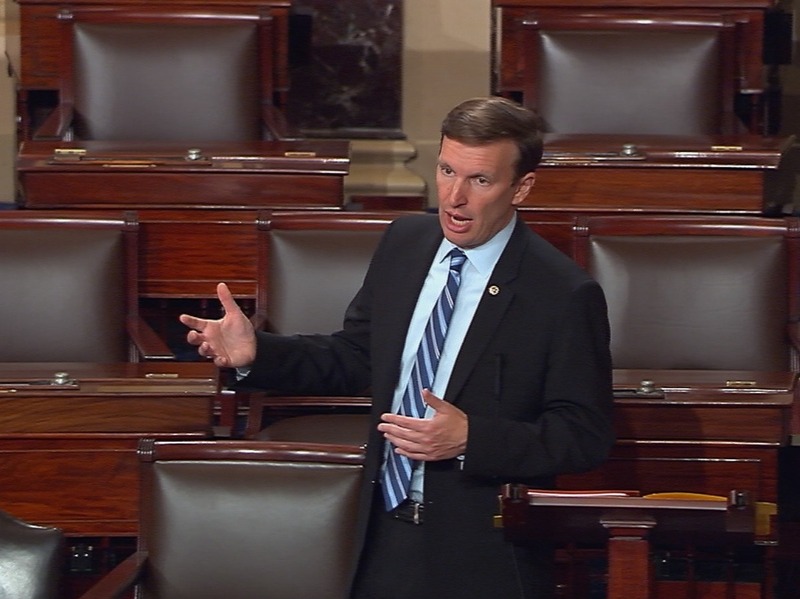 Democrats Hold Senate Floor Until Early Thursday In A Push For Gun Control : The Two-Way Sen. Chris Murphy of Connecticut and colleagues held the floor for nearly 15 hours before yielding early Thursday morning. 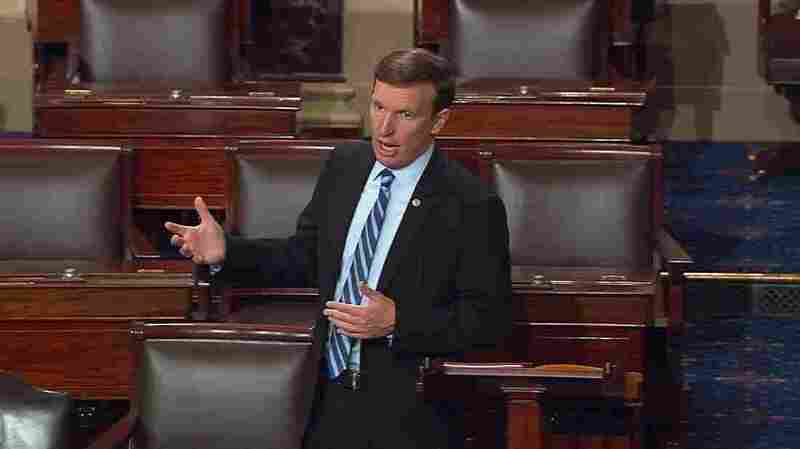 "For those of us that represent Connecticut, the failure of this body to do anything, anything at all in the face of that continued slaughter isn't just painful to us, it's unconscionable," Murphy said, referencing the shootings at an elementary school in Newtown, Conn. "I can't tell you how hard it is to look into the eyes of the family of those little boys and girls who were killed in Sandy Hook and tell them that almost four years later, we have done nothing, nothing at all to reduce the likelihood that that will happen again to another family." Of course, this comes a couple of days after the House floor became chaotic, with Democratic members pleading with Republican House Speaker Paul Ryan to put gun control bills up for a vote. Murphy's press secretary, Laura Maloney, described the floor action today as a filibuster. The Senate, she said, is considering an appropriations bill, and it is now being delayed by floor speeches. NPR's Ron Elving says the action meets all but one of the requirements for being called a filibuster. Typically, senators use the maneuver to stop a bill from passing the Senate. This time around, however, the intent is not to delay the appropriations bill, but to force action on gun control measures. Specifically, Democrats are pushing bills that institute universal background checks and bar suspected terrorists from buying guns.